There is a continual influx of immigration from Latin America. Statistics confirm higher fertility rates among Hispanic women. Hispanics show greater brand-loyalty over non-Hispanic consumers. Relatives and neighbors consult each other for recommendations on brands and purchases. Hispanic population demographics in the U.S. reveal that the majority are young people. Gaining loyalty for your products or services among the younger generation translates to a rising rate of purchasing power over time as the youngsters advance through their working lives. While non-Hispanic consumers spend less money during economic recessions, national financial crises have a lesser effect on the Hispanic consumer. These typically do not look for price points and discounts. Despite the fact they may spend less money overall on non-essentials, Hispanics will save the amount required or pool their household money to make the purchases they really want. The following is a series of marketing strategies to help attract the Hispanic consumer to your business. 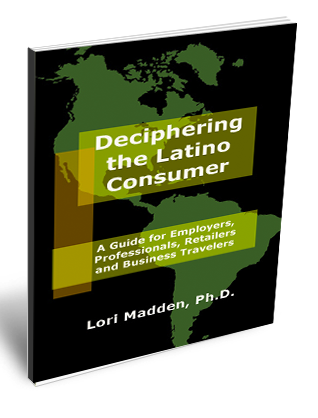 Is the target for your products or services Mexican-Americans, Cuban-Americans or Puerto Ricans? Do they read newspapers, watch television or listen to the radio? Which programs? Which is their preferred language of consumption? What are their occupations and their education level? You will want to gauge the level of sophistication of your marketing efforts according to your target demographic. Which dialects of Spanish do they speak? You will want to be sure that your radio announcer is not a Cuban if your target is from Mexico. Are they already using your product so you want to convince them to use more? Appeal to what is most important to them—the welfare of their family and their children. Are they using competing brands from their countries of origin? Make your brand as familiar and comforting. Is yours an unfamiliar service for them? Educate them about the need for your services. Don’t rely on a “Se habla español” label. Many businesses hang this welcome sign or stamp it across their ads. However, merely stating that “we speak Spanish” is insufficient; it looks like an after-thought. 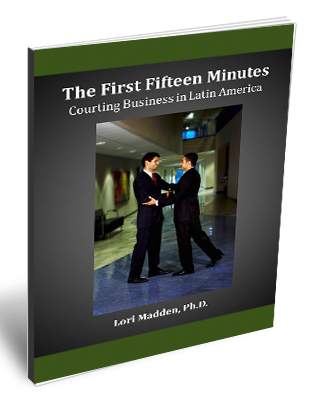 It does not instill confidence that a client will receive quality Spanish-language service. Running an ad entirely in Spanish is more convincing. Then be sure to provide a total Spanish language experience for your client. Make your website inviting to the Hispanic. Many Hispanics are shopping on line, in both English and Spanish languages. Some are second or third generation, acculturated Hispanics and will be monolingual English-speakers. Some will speak only Spanish. Many will be bilingual. Of those who are bilingual, they do not have a language preference for website shopping, but will appreciate sites that cater to their particular interests and welcome them culturally. So, businesses must address two issues for their websites: linguistic choices and cultural choices. If your decision is to offer a Spanish-language website, do not go half-way. Create a parallel site exclusively in Spanish. It is very annoying to be lured into the belief that a business is going to present, explain, educate and sell to a customer in Spanish when actually only a few translated portions are posted on your English-language website. This will turn away more potential customers than offering an English-only site. Also, don’t make it cumbersome to navigate to reach the Spanish copy. Your advertising doesn’t have to be in Spanish to be culturally relevant and welcoming to the Hispanic. Take care with your use of images. For example, avoid stereotypes. This means removing the U.S. flags and American eagle icons, but it also means omitting Mexican sombreros and piñatas from your ad copy. Be mindful of your choice of color—earth tones are attractive to Mexican and Central American peoples. Use big print and simple fonts. This is appreciated by more than just senior citizens with vision problems. Avoid impersonal ads with lots of fine print. Many Hispanics are repelled by fine print; they do not trust what it says. Use artwork that involves people—put a face to what you want to say. Hispanic immigrants are distrustful of institutions but would rather rely on people that can relate to them. Use people in your ads who look like your target audience to help your targeted market identify with your message. And focus on the one thing that is most central to every Hispanic’s life—the family. Choose your translators and bilingual employees carefully. Don’t ever use automated translation software. Use a real person to help you translate your message to your targeted Hispanic market. Translate the message, not the literal words. To be effective, you will have to grant your chosen professional license to recreate your message so that it will be well received linguistically and culturally. Also, be sure to choose the right bilingual person for the job. Many second and third-generation Hispanics living in the U.S. are fluent in Spanish because this was the language spoken in their childhood households. But it’s unlikely these individuals studied the Spanish language formally. They may be functionally illiterate in Spanish. As children they will have learned how to communicate in a domestic environment and may never have been exposed to other language samples. They may not be able to identify which expressions are regionalisms, or slang, or even ‘Spanglish.’ You will need to verify the communication skills of your potential hire. It would be worth the expense to either use a consultant to help you hire the right bilingual for the job or pay to educate the bilingual employee already working for you. 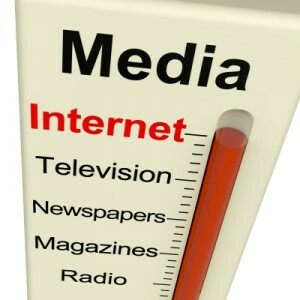 Test your website or your advertising campaign. Any good marketer knows to do this, but when you seek a representative sample of individuals for your test marketing, be sure they fit the cultural demographic. Do not ask Mexican-Americans, for example, to evaluate your marketing materials aimed at a community of Dominicans. Also, ask culturally-relevant questions. What do they find offensive in your images, situations or language? What would they like to change? Finally, be sure to find the right person who can really extract candid responses from your test sample. You don’t want to end up with a test group unwilling to be truthful because they don’t want to insult you! Copyright © 2011 by Spanish Language Solutions®.